This great stitch will give you a whole new world of opportunity to crochet beautiful baby blankets, and not only them. These beautiful flowers and cherries form a gorgeous and child-safe decorative motif, against a background of textured stitching. This will keep baby warm and snug, as well as looking cutter than ever. Make it for your own sprog, or for your friends and family. Enjoy! For more free designs every day follow us on Facebook. Link to that pattern is below. 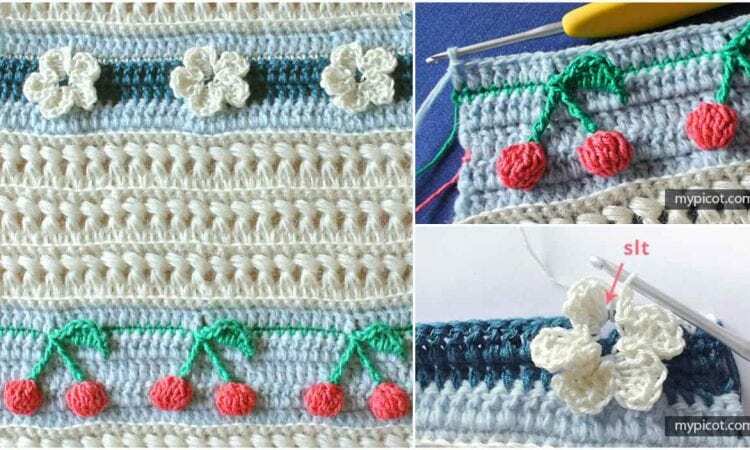 Cherry and Flower Stitch – Free Crochet Pattern is >>here< .